Our technicians are highly skilled in all of the intricacies of implant case planning and fabrication. Our specialized team approach enables clinicians to choose a variety of combinations in restorative options for your implant requirements. Our CAD/CAM designed Implant Solution will simplify the treatment plan for your patients and drastically improve their results regardless of how complicated the case may be. We design and fabricate only the highest quality of implants. At Primodent Studio, we specialize in fabricating cement-retained or screw-retained/retrievable custom abutments to accommodate your patient’s specific needs for optimal results. We have formulated a working relationship with implant manufacturers to continually educate our technicians in the latest implant technology with the goal of improving our ability to meet your implant treatment needs. Our lab is aware of the fact that quoting the correct prices for your patients can be problematic, so we have worked hard to set a fixed price. We strive to make the process of quoting your patients as stress free and effortless as possible. 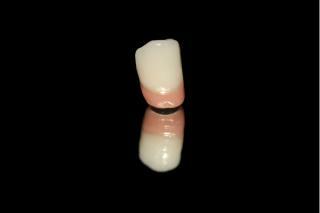 Our goal is to make your implant cases as graceful and unproblematic as can be.